Our Redmond and Clackamas based shops can handle all your service needs—from general maintenance to wreck repairs. 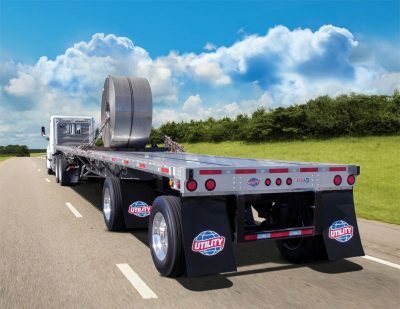 Anyone in the trucking industry can tell you that money is lost while trailers are in the repair shop. 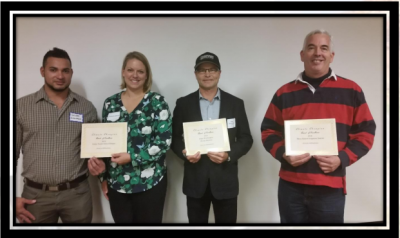 Few companies with moderate size fleets can find it in their budgets to support their own repair centers and service technicians. 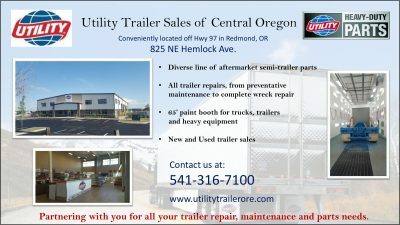 Now there is another option, introducing mobile service from Utility Trailer Sales of Oregon, LLC. Experienced technicians come to your facility and perform repairs and annual state or federal required inspections. 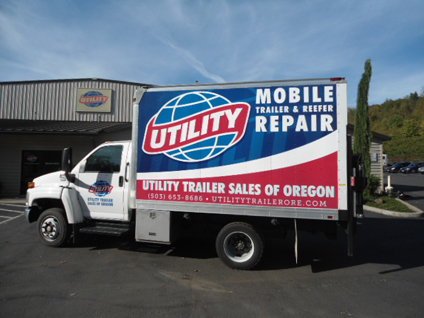 This new service will get trailers back on the road sooner and help minimize the downtime associated with minor repairs and inspections. 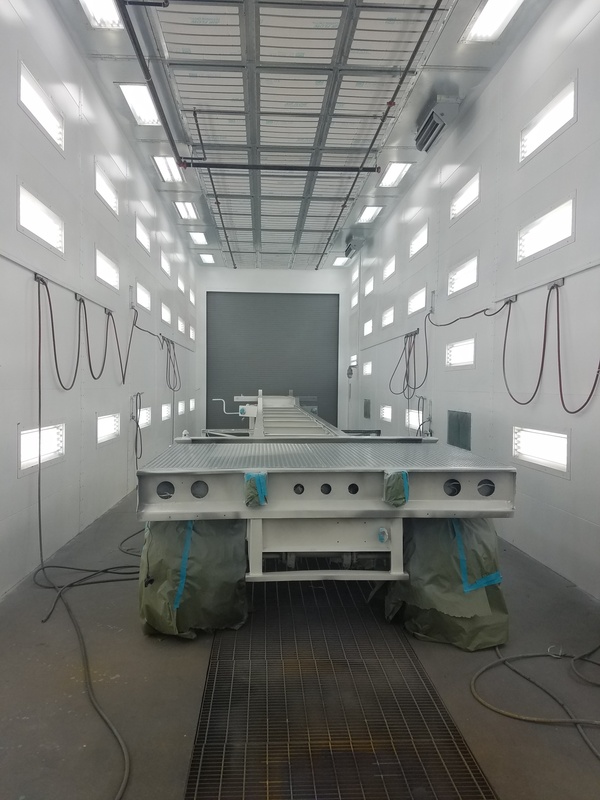 Our Paint Booth is located at our Redmond location. 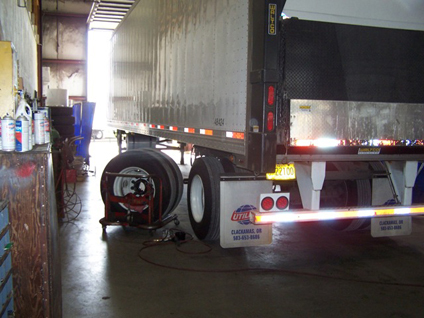 We can accommodate any truck, trailer or heavy equipment to meet your needs. Please call to schedule your appointment. For questions or more information, please fill out this form.